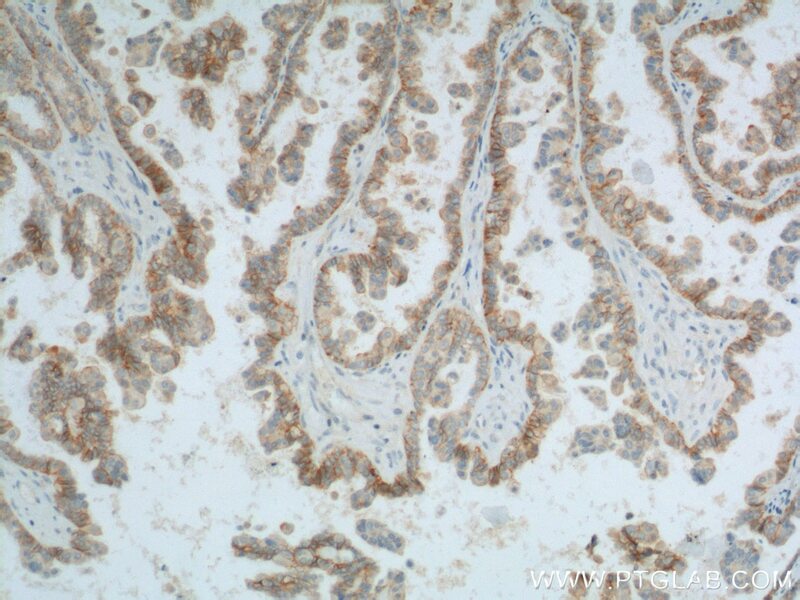 Immunohistochemical analysis of paraffin-embedded human ovary tumor tissue slide using 20305-1-AP( CD47 Antibody) at dilution of 1:200 (under 10x lens). heat mediated antigen retrieved with Tris-EDTA buffer(pH9). 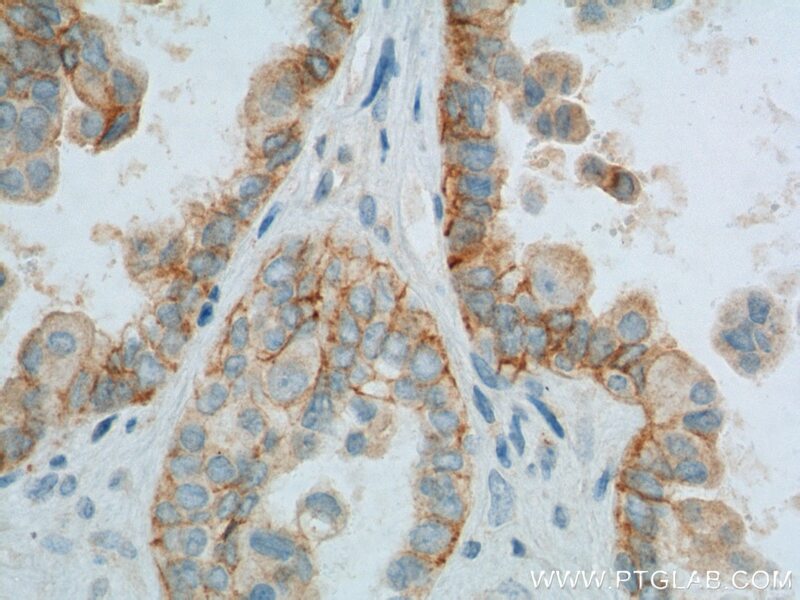 Immunohistochemical analysis of paraffin-embedded human ovary tumor tissue slide using 20305-1-AP( CD47 Antibody) at dilution of 1:200 (under 40x lens). heat mediated antigen retrieved with Tris-EDTA buffer(pH9). CD47, also known as integrin-associated protein (IAP), is a member of the immunoglobulin superfamily containing a five-pass transmembrane attachment. CD47 is heavily glycosylated and widely expressed by hematopoietic and nonhematopoietic cells. CD47 interacts with several membrane integrins and also acts a receptor for thrombospondin (THBS1). It is involved in a range of cellular processes, including apoptosis, proliferation, adhesion, and migration. CD47 also functions as a ligand for signal regulatory protein-α (SIRPα). Upon binding CD47, SIRPα initiates a signaling cascade that results in the inhibition of phagocytosis.